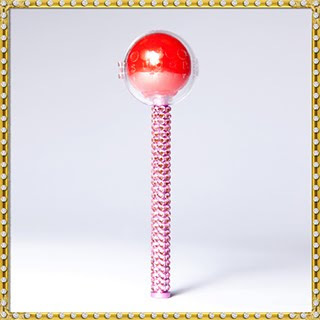 > I’m SO Excited about the Couture Pop From The Sugar Factory. 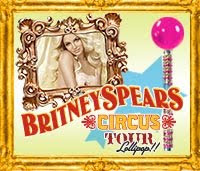 This company has the Britney Spears Pop , the Kim Kardashian Pop & so many more. So when I first received the Bubble Gum Couture Pop I thought this would make a perfect stocking stuffer! I loved the bling all around the handle! After learning more about this amazing treat, I learned that you keep the handle, and you can buy more lollipop heads in 3 packs! With flavors like Cherry, Creamy Orange & Apple, I thought this was fabulous idea! The Sugar Factory makes gift baskets as well for all holidays including thanksgiving, halloween and birthdays! 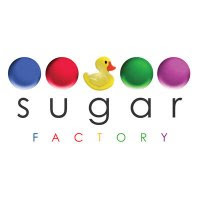 Thank you SO much to the Sugar Factory for introducing me to this wonderful candy site, i encourage you all to check it out, if not to buy anything, just to look through this website. It’s absolutely amazing. Check them out on Facebook too!